There's a small chance you might have bumped into my omnipresent avatar in some new places lately - including search results, assuming you use Google. 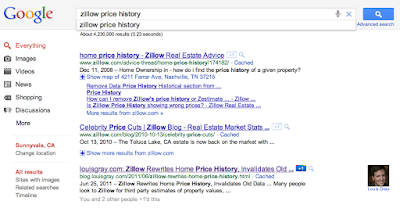 The company on Tuesday, which turned out to be an extremely busy day for them, introduced a nice feature that lets content authors claim ownership of their work and display their photo next to the appropriate search results when they match a query. This brings more personality to Google's content results, and if you are aware of the author's other work, may be yet another draw to why you would select one link over another. The initiative is an extension of the authorship markup code released by the company a few weeks ago. It works by the author selecting a page on their Web site as their "About Me" page, like I have here, listing it on their Google Profile, and designating it through the appropriate HTML code in their site template. 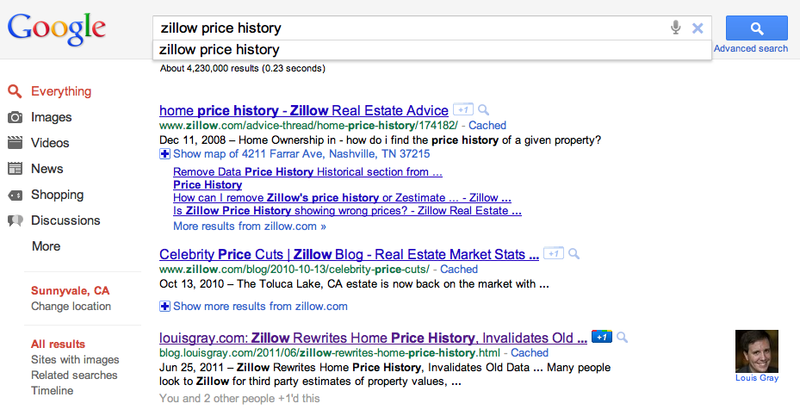 Results with authors' mugs such as mine went live on Google.com today, meaning that when you search on topics like Youtify or Zillow home prices or anything else I've covered in the past, my photo from my Google Profile is next to the link. The same goes for the dozens of other blog authors who were part of the initial launch program, and more are coming. The team promises simple guides on how you too can be listed shortly, but for now, watch for photos in your results, and promise the quality of my photo won't make you click less. See also Frederic Lardinois of SiliconFilter's take.